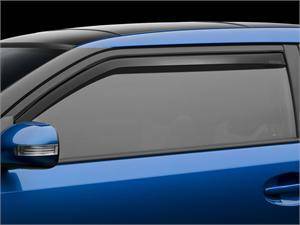 Weathertech Side Window Deflectors for 11-16 Scion tC (tC2) 80546 / 70546. WeatherTech Side Window Deflectors offer you fresh air enjoyment with an original equipment look. They are crafted in Germany from the finest 3mm acrylic.